The Autumn Visiting Professor in the Department of Urology presents the annual Paul H. Lange, MD, FACS, Endowed Lectureship. The Visiting Professor is nominated by the Department faculty for his or her expertise in a sub-field of urology. The goal of the Visiting Professorship is to expose our residents to a leader in urology who can provide role modeling around a successful academic career and reinforce our emphasis on innovation in teaching. Secondly, the lectureship will honor Dr. Paul Lange and his innovative contributions throughout his career. 7:00 p.m., pre-lecture reception at 6:00 p.m.
Prof. Studer is Expert Consultant of the Department of Urology at the University Hospital of Bern, Switzerland, after having been Chairman there from 1994 – 2009. From 2010 – 2015 he also served as the Yeoh Ghim Seng Visiting Professor at the University of Singapore. His specialties are nerve-sparing pelvic surgery, ileal orthotopic bladder substitution and hormonal treatment of prostate cancer. 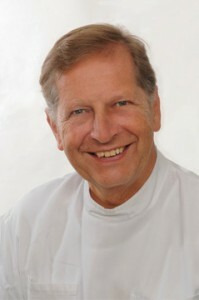 Prof. Studer is an honorary member of the AUA, EAU and the EORTC GU group, as well as of many National Societies, such as the German, Swiss, Canadian, South African or the Asian Surgical Association. He also received many prizes, such as the Medalla Francisco Diaz of the Asociación Española de Urología for surgical excellency, the Paul Harris Fellow Award, the St. Paul’s Medal of the British Association of Urinary Surgeons, the Harry Spence Medal of the American Association of Genito-Urinary Surgeons or the Willy Gregoir Medal, the highest award of the EAU, as well as the SIU Life Time Award.